2018 was marked by a historically tight labor market that had employers scrambling to find enough qualified workers to maintain growth. While it’s difficult to predict how much longer this trend will continue, other questions emerge: Which industries are likely to remain understaffed? How has the labor shortage impacted existing jobs and future positions? What does this mean for customers? A look back at hiring and retention practices yields some clues. Back in September, the U.S. national unemployment rate fell to 3.7 percent—the lowest rate since 1969. Low unemployment rates created an incredibly hot labor market, with many people seeking better, higher-paying roles. In July, the national quit rate reached a 17-year high. Low unemployment and a high turnover rate are generally considered positive economic indicators, but they can also have a negative effect on customer service, customer satisfaction, and ultimately, economic growth. Consider customer support and service, where low-wage skilled workers are in high demand. Employment of customer service representatives is projected to grow 10 percent from 2014 to 2024, according to the Bureau of Labor Statistics. 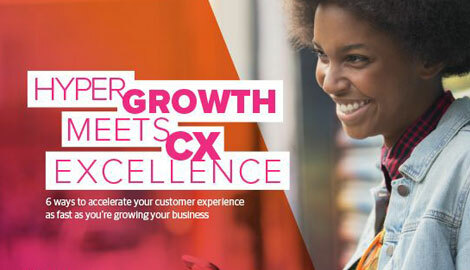 Much of this growth is driven by an expansion of what it means to provide customer support to meet higher customer expectations. More representatives are being called upon to solve complex problems, be both creative and analytical thinkers, and support a number of different communication channels. Simple tasks are increasingly being automated, leaving humans for the harder issues. But given that traditional contact center jobs are highly micromanaged with few opportunities for growth, attracting talented candidates is already challenging. What’s more, new hires typically have less experience and less job-specific training, which makes it even more difficult to deliver strong service. A labor shortage at emergency contact centers, for example, has significant consequences. In Little Rock, AR, the 911 communications center struggles to keep up with the call volume. In 2018, 66 percent of 911 calls were answered in 10 seconds or less, which is far below the 90 percent standard set by the National Emergency Number Association (NENA), reports USA Today. Retaining operators has been difficult. The emergency center hired 21 more operators, but the same number soon quit. “In any environment where you have increasing competition for workers, a worker is going to have more choices,” Christopher Carver, operations director of 911 centers for NENA, told USA Today. “People want to work in places they like. 911 centers can be challenging places to work.” Additionally, many 911 centers are underfunded and lack the proper resources for effective training. Other industries face similar obstacles. Job openings in the construction industry are at an 18-year high, according to the Bureau of Labor Statistics. A continuing lack of skilled labor, though, could make development projects more expensive and time-consuming, weakening the economy. “Workforce shortages that make construction projects more costly and slower to build run the risk of undermining broader economic growth,” according to a report from the Associated General Contractors of America. Retail is also feeling the pinch. In a survey, 29 percent of human resources and compensation professionals, representing a total of 2 million retail employees, told consulting firm Korn Ferry that they’ve seen an increase in employee turnover since the beginning of 2018, especially among part-time hourly store employees (an 81 percent turnover rate compared to 76 percent in 2017). “While high consumer confidence and a strong economy mean year-over-year sales are predicted to grow, low unemployment means there just won’t be enough workers to fill retail positions,” said Craig Rowley, Korn Ferry senior partner of retail and consumer, in a statement. Even though retailers began hiring seasonal workers earlier this year—some as early as the summer—in addition to raising pay and offering perks like profit-sharing and paid time off, many struggled to find enough people to staff their stores and warehouses. Employers are deploying a wide range of strategies to combat the labor shortage. The most obvious approach is to increase wages. In January 2018, Walmart announced it was increasing its entry-level wage from $9 to $11. A few months later, Amazon raised its minimum wage to $15 an hour; Target raised its minimum wage to $12 in 2018 with plans to increase it to $15 by 2020. Walmart also unveiled a new scheduling system that’s designed to make employees’ schedules more predictable and flexible. Other retailers have offered signing bonuses, employee discounts, and more. Increasing wages and creating more flexible scheduling are just some of the steps businesses have taken to attack the problem. Companies also need to take the long view in building a workforce for the future, says Brad Bell, an associate professor of human resource studies and director of human capital development at the School of Industrial and Labor Relations at Cornell University. The shortage of immediate hires makes it even more apparent that businesses need workers who can adapt to technological changes in the workplace. According to Gartner, 70 percent of employees have not mastered the skills they need for their jobs today, and 80 percent lack the skills needed for both their current role and their future career. The research firm also notes that more jobs are being redesigned for closer human-machine collaboration to boost productivity and improve the customer experience. Leaders are addressing some of these challenges with an increased focus on human capabilities. Recognizing that emerging technologies like artificial intelligence and machine learning need humans as guides and to fill in the gaps, companies are investing in education and training to help employees enhance their problem-solving skills, cognitive abilities, and even social intelligence. Toyota, AT&T, and General Electric are just some of the major corporations that are offering their employees opportunities to upgrade their skills through partnerships with universities, online courses, and other resources. Organizations are also upgrading their methods for matching the right talent with the right opportunities, Bell adds. Companies today have reams of data about job candidates and employees, which enable “greater precision” in how they recruit, train, and manage employees. “From the moment a candidate submits a resume, automation and data analytics are influencing the decisions HR managers make and it’s only growing,” Bell says. It’s also becoming the norm for companies to predict what’s needed to upskill and cross-train employees at a highly individualized level while minimizing expenses. A strong economy and low unemployment rate bear clear advantages for employees who feel confident that they can find a better job. However, it also shines a light on the consequences of understaffed organizations. Jobs that were already difficult to fill have been exacerbated. Contact centers can’t support callers fast enough and construction projects take longer to complete, among many other consequences. Forward-looking companies understand that a widening skills gap also indicates that they need to consider the quality and quantity of workers’ output if they’re to remain competitive. All of which is to say that helping employees be engaged and successful will be the true marker of a future-proof company.